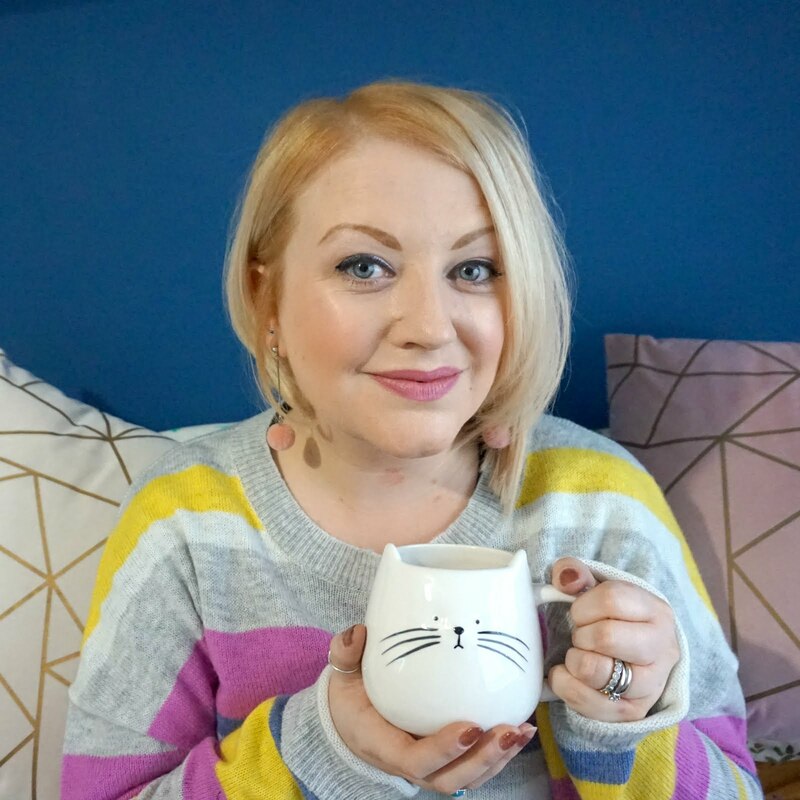 I'm no Mary Berry but I do like a nice cake or a crumbly cookie so will occasionally don the apron and bake up some treats - and Ethan is more than keen to be Mummy's little helper. 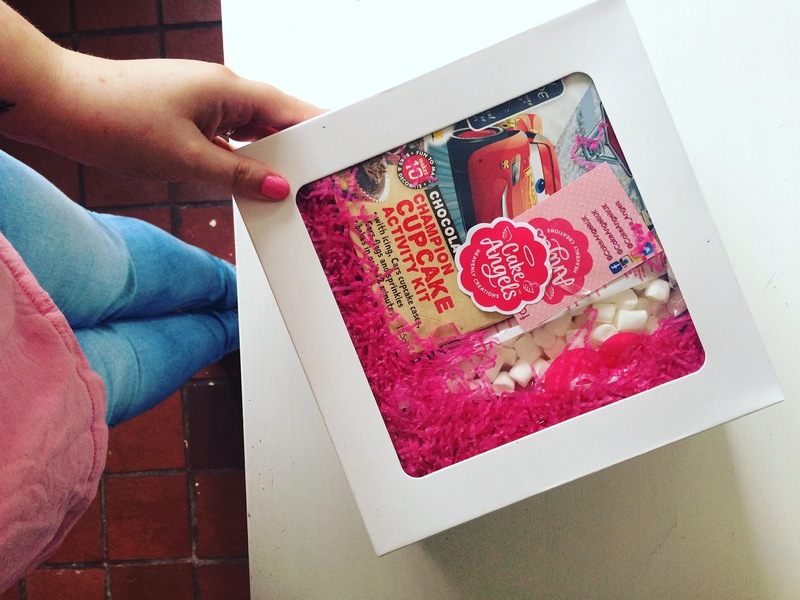 Last week we received a lovely baking kit from Cake Angels and on Sunday, we set aside some time to get our bake on. 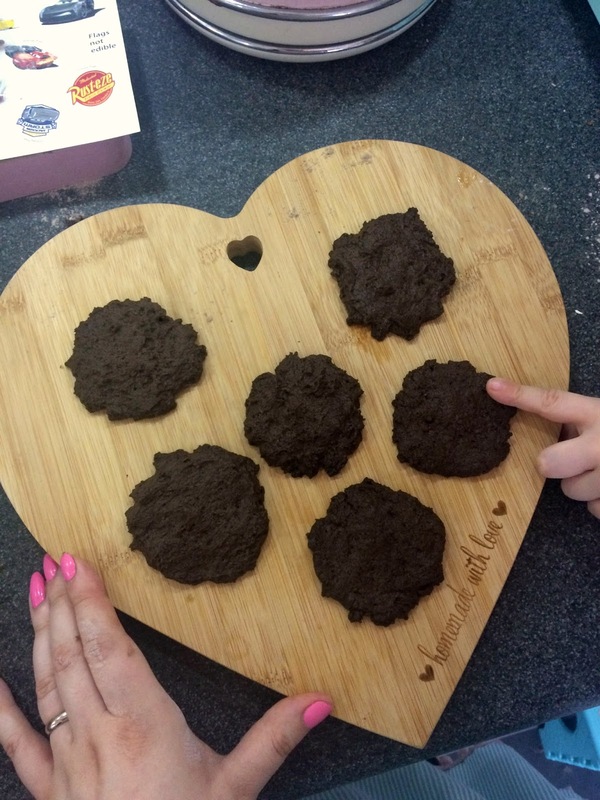 Baking with children is a really fun activity - although it can get a bit messy! The kits we were sent helped to keep it all simple though, as there was not a lot of measuring to do (the mixes are all ready made, so it's just butter, water, oil or an egg you need to add) and everything was in clearly labelled packets, which meant I could spend more time enjoying the activity with Ethan. 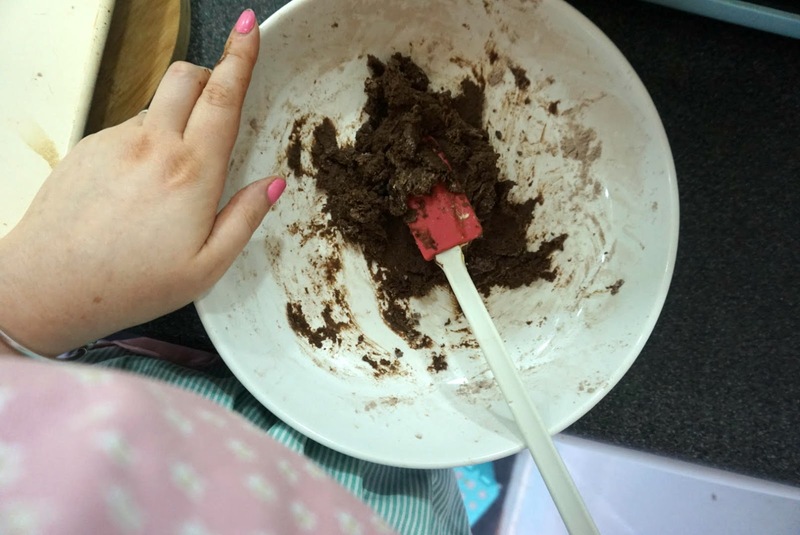 It also meant that we weren't baking for ages - around 5-10 minutes per kit to prepare followed by 10-12 minutes baking time - so my impatient four year old didn't have to wait long to add the finishing touch of icing and then of course, start the sampling! 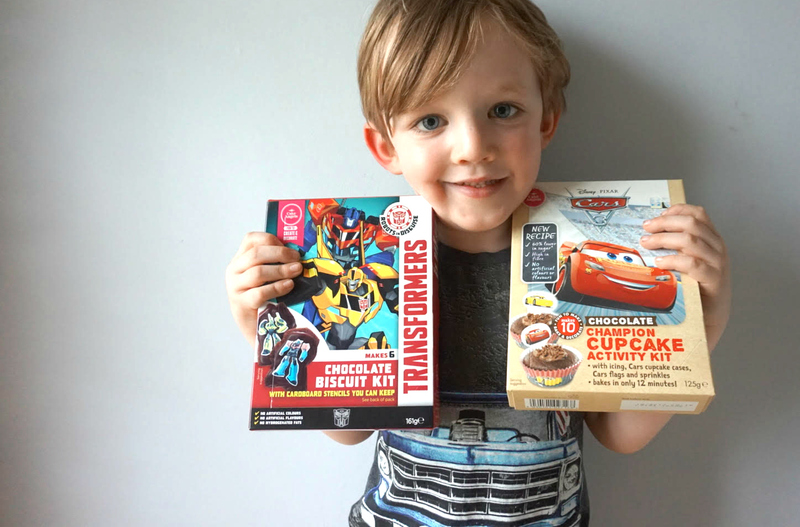 The first kit we used was to make Transformer cookies - six, to be precise. 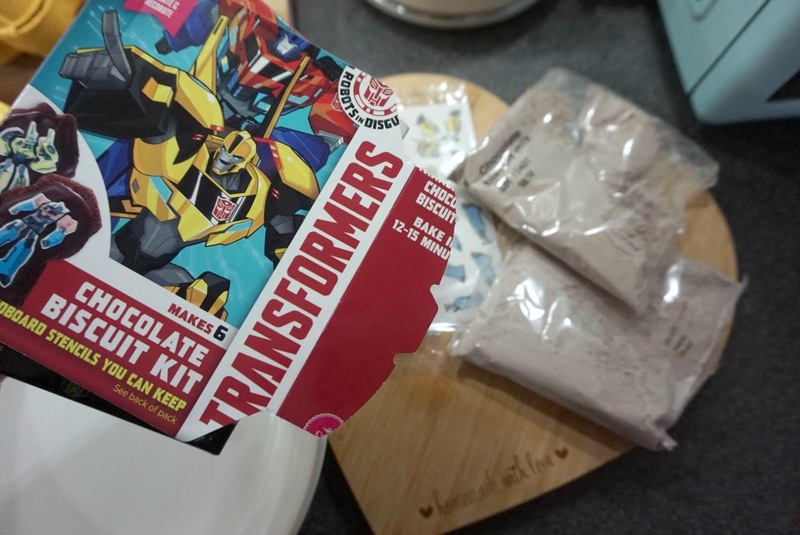 These were chocolate flavour, with chocolate icing and rice paper transfers for the top of two of the Transformer characters that you have to assemble. The back of the box featured clear step-by-step instructions, plus two cardboard cut-out stencils of the characters to use when shaping the cookie dough. For me, this was too fiddly to do and I was happy to let the cookies just be normal cookie shaped! 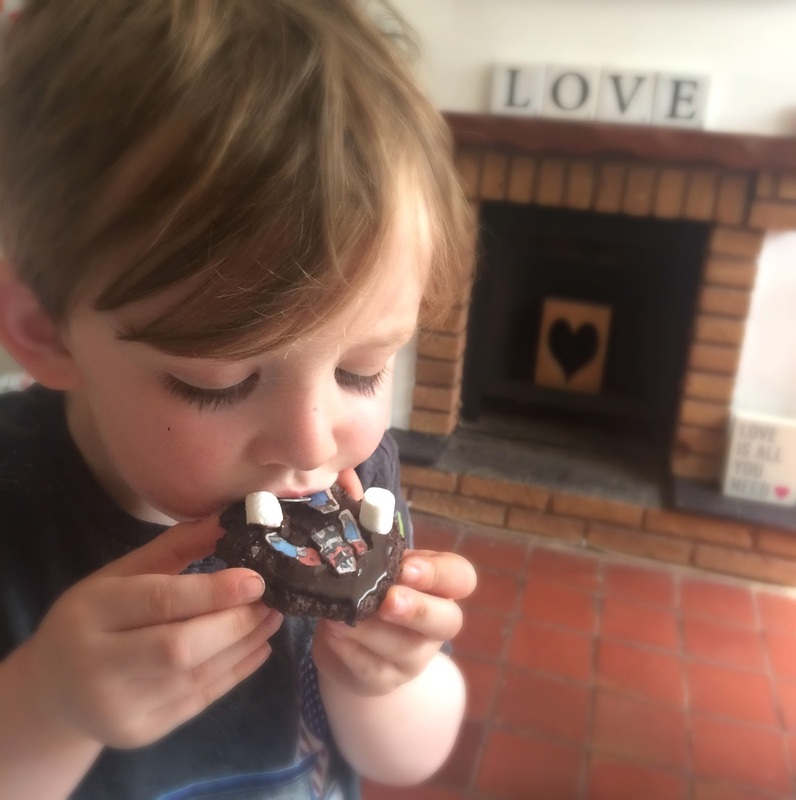 Whilst the cookies were baking, we made the icing for the top and then moved onto the second Cake Angels kit - Cars cupcakes. Again, there was a premixed bag for the cakes, that just needed some oil and an egg adding to it, and then another for the buttercream icing (just add butter). This was again easy to prepare, particularly with my budding baker on hand, and Ethan helped me divide the mixture into the themed cupcake cases provided (10 in total). 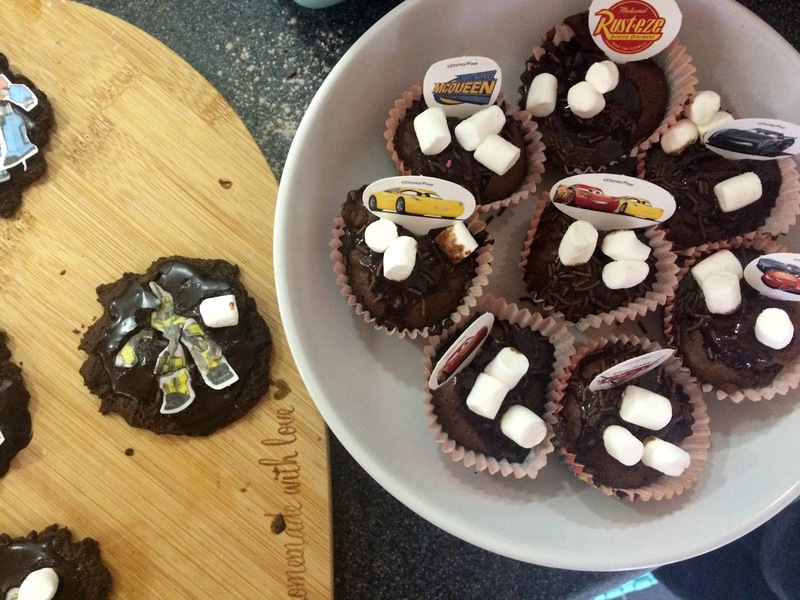 These were baked within 12 minutes and once cooled, we added the icing and sprinkles provided, some mini marshmallows (supplied separately), and the Cars character cardboard flags. 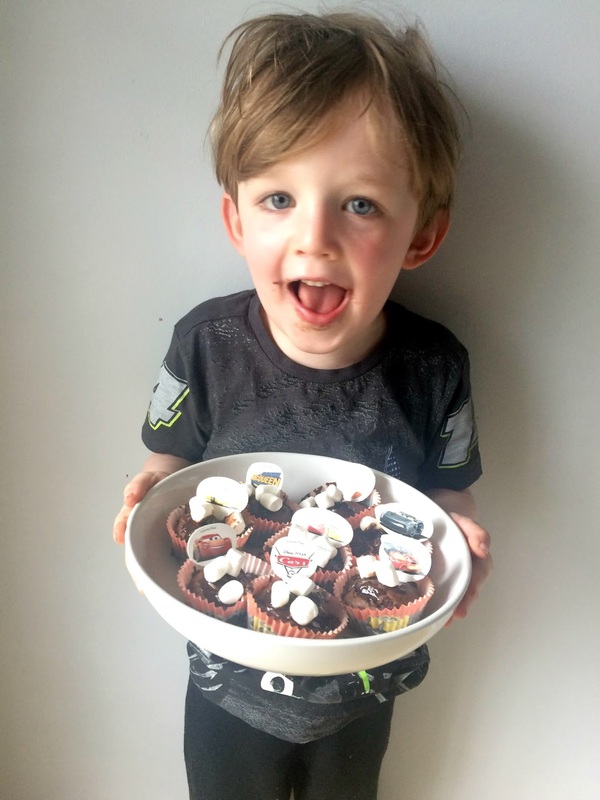 Of course, Ethan couldn't wait to dig in and tested out his creations, with glee, before deciding that he wanted to share the rest with his friends at preschool. 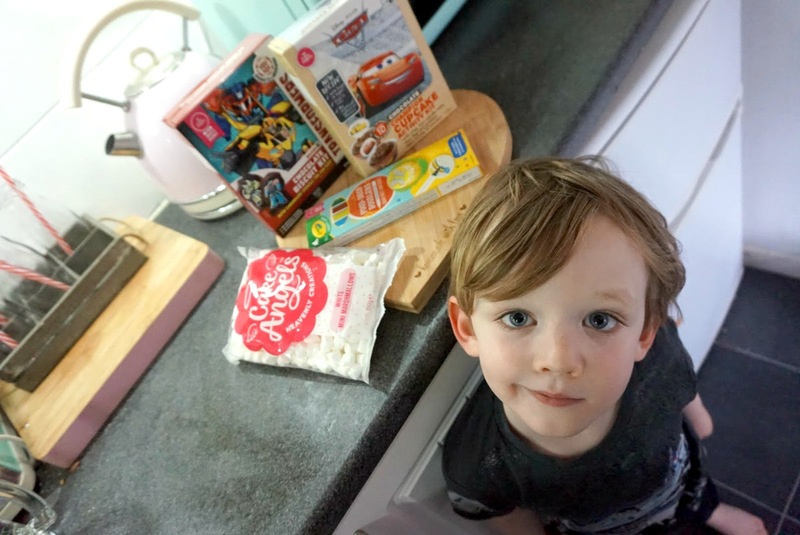 It was a fun and relatively straightforward and mess free afternoon and it was lovely to see Ethan get so excited - so much so, he wants to get them again to bake something for my birthday this weekend! 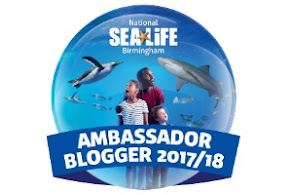 * Items featured in this post received for purposes of review - all opinions, and taste testing results, our own!